The Kaltura Course Media area is a gallery of videos that can be viewed by everyone enrolled in a course. It is NOT where students submit videos for an assignment. 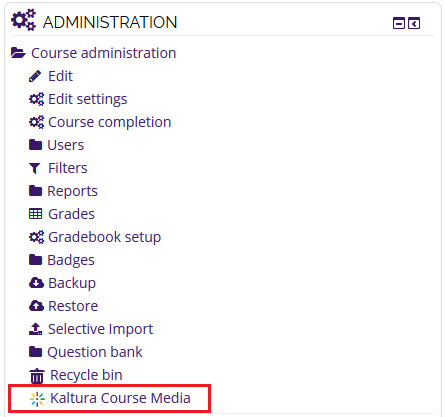 If an instructor adds a video to the course via the Kaltura Video Resource, the video is NOT automatically added to the Course Media area. 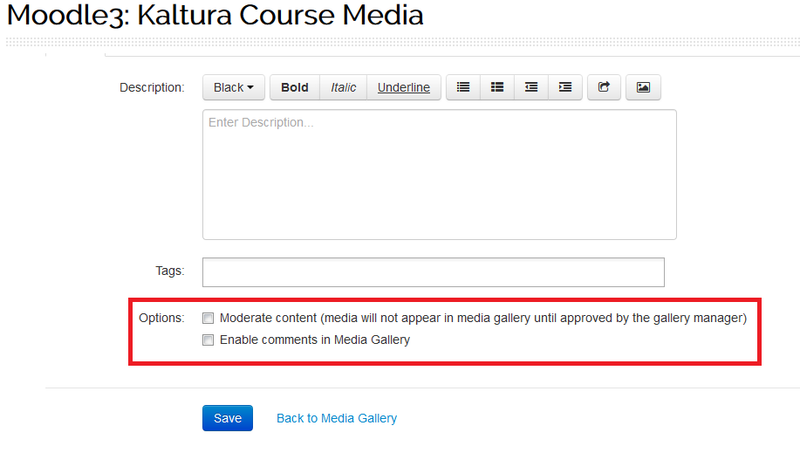 Depending on the settings, any enrolled user can add a video to the Course Media area and add comments. This is useful if instructors want students to share their videos with the class without seeing students' grades or feedback. Instructors can also add supplemental videos to this area, but will have to tell students to check the Course Media Gallery. (It is easier to simply add videos via the Kaltura Video Resource.) Instructors can control the settings for Moderation and Commenting. 3. Click the Actions button on the far right and select Edit. 4. At the bottom of the page, choose to "Moderate content" and/or "Enable comments." 5. Click Save to save your preferences.